Osric Chau may not be a name you readily recognize, but that will definitely change in the months ahead as we hear more and more about him in the upcoming season of SUPERNATURAL. He plays Kevin Tran, an academic overachiever with an uncanny supernatural ability to “read the word of God” which makes him a huge prize for both the good and bad characters of the series. Born and raised in Vancouver, Chau is a 26 year old acting star at the beginning of his career. Acting is his passion and he performs each role with such dedication that he has had a quick rise to prominence in the field. Despite being a newcomer to the entertainment scene, he has already acted alongside John Cusack, Daryl Hannah, and late David Carradine. While acting is now his primary focus, it wasn’t always. Chau devoted much of his youth to the study of various martial arts. He quickly rose to become one of the best fighters in his category and a member of the Canadian National Team, winning more than one gold medal at national level competitions. How good is he? Take a look at the videos at the end of the article and decide for yourself. As a past student in Tae Kwon Do, I can only say…eat your heart out Bruce Lee! Chau is continuously focused on developing and honing his acting talent, and together with his expertise in the martial arts, brings something very special to the film industry. His first roles in acting did include his martial arts abilities and in the movie “Kung Fu Killer” he not only did his own stunts but choreographed them as well. A very confident and self-assured individual, Osric has a clear vision of his goals in life, and I have no doubt he will achieve every one of them, including his mom’s cherry orchard. Not all his acting involves martial arts however. He appeared in Roland Emmerich’s disaster epic “2012” as the young Tibetan monk, Nima and in Chinese movies delivering lines in his recently learned Mandarin. He will also appear in the soon to be released film “Fun Size” as the geeky Peng which, according to Osric, is his favorite character to date. 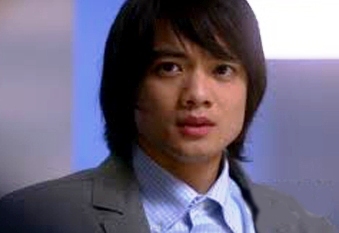 Last year he landed the role of Kevin Tran in SUPERNATURAL and was originally signed for three episodes; “Reading Is Fundamental,” “There Will Be Blood,” and “Survival of the Fittest.” However the character was so well liked, that Kevin has become an intricate part in season eight’s major arc, so we can expect to see much more of him in the future. And that couldn’t make Chau happier! In the interview he talks about his start in acting and the martial arts, his experiences on the SUPERNATURAL set, the character of Kevin Tran, and his future goals. Given his super busy schedule these days, we are very grateful to him for taking the time to do the interview for us. I hope you all have a whole lot of fun reading it. Take it from me; he is one super nice guy! You took your first acting class when you were eight so you knew at an early age you wanted to perform. What was the reason you wanted to go into acting? And does it have any special meaning for you? I did take my first acting class when I was eight, and it was my entry into the industry but it was my mom’s initiative to get me to try as many different things as possible. I didn’t know what acting was back then, I was a big fan of professional wrestling, and I thought that was real. I developed my need to perform from martial arts and doing demos for local events and charities and pursued stunt performing prior to actively pursuing acting. I was about 21 when I really started looking into and understanding what acting was all about and I’ve been fortunate enough to have been able to learn on the job. It took a while, but I eventually learned to appreciate the art and its many intricacies and I couldn’t be happier that I’m still able to explore and discover new things. Besides taking acting classes, at thirteen you also started training in Wing Chun, a form of Kung Fu. You became extremely talented in the disciple and won a gold medal in a 2001 competition. You went on to study Wushu, and T’ai Chi in Vancouver and China and eventually made the 2007 Canadian National Team where you won additional gold medals. What was the big attraction for you in the martial arts discipline? Did you ever consider abandoning your acting dreams and pursuing a sports career? Sport career was my first option. I loved martial arts. Well, actually it’s more accurate to say that I loved fighting. I was a somewhat violent child, and violence was my answer to conflict. Being small didn’t help either so I did what I could and watched as many Kung Fu movies and shows as I could, imitating their moves and practicing on my brothers. I remember trying to get stronger all the time and I started a regiment of doing 100 pushups and sit-ups every day in grade 4. So before high school I had a reputation of being a strong kid that you shouldn’t mess with. In high school, my mom finally enrolled my brothers and me into martial arts classes against her better judgment and that was when I started the formal martial arts training and I got really into Wushu. Wing Chun is a self-defense martial art, very philosophical and equal amount of theory and practice. Wushu is a performance orientated martial art, it’s closely associated with dance and gymnastics, and training that gave me even more confidence to stick up to people, namely because I could actually show it off without hurting anyone. The conditioning needed for it is actually very intense and the stronger I got, the less and less I felt the need to ever engage in physical violence. So in the eighth grade I was getting in fights every week and by graduation I won the “Good Citizenship Award” as voted by the staff. I continued training for years and still do on occasion nowadays, but having dealt with injuries in the past and Wushu still being a sport that needs to grow in North America and sports funding in general for Canada being so weak in comparison to the US, it wasn’t something I could confidently say was ever a career choice for me, but rather a sometimes expensive and obsessive hobby. I’m in a happier place now though, and at least I never get so sore that my body doesn’t tell me about it anymore. During all the intensive martial arts training, you still found time to follow acting and eventually landed supporting roles on “Cold Squad” (2002), “Dragon Boys” (2007), and your first leading role in the 2008 feature movie “Kung Fu Killer” starring opposite the late David Carradine. How did you find out about those roles and did you ever think that your background in martial arts would help you get into acting? Did you do all your own stunts in them? At the time that I was working on “Cold Squad” and “Dragon Boys”, I would not have called myself an actor. That was all my mom and my agents. My agents submit me for casting and my mom takes me there. I’ve been auditioning since I was a kid (took me a few years of auditioning to learn what auditioning was) and those were the only roles I ever got! Let’s do the math, that’s 2 roles in 13 years, one every 6 and a half years. And I would say I got those two roles from pure luck and law of averages. You can imagine the amount of rejection I went through. I’m still with the same agency and have the same manager and I could not thank them enough for continuing to work with me through that time and my mom for driving me even though I wasn’t that into it. For “Kung Fu Killer”, I was hired because of my martial arts background. My character carried much of the action sequences in the movie and doing my own stunts and choreography gave the director much more freedom creatively during the shoot and we saved a lot of time needing fewer setups. I love doing my own stunts. Those are my favorite days on set and it actually feels pretty good to come away with a bruise or two. They help you remember that awesome day for weeks sometimes! I noticed from your bio that you have written, produced and directed in the entertainment business besides acting. Do you have a preference for one of these over acting and would you like to pursue more opportunities in these fields in the future? I like to make things happen and I have a lot of friends who are always up to doing little projects. Unfortunately not many of them initiate. So I look at who’s available, what we have, and then I fill in the gaps and something happens. We make lots of mistakes but my purpose is to learn from them and usually we come out with something that we’re happy enough to share. That’s how I got into writing, producing and directing. Out of those three I enjoy producing the most, and eventually it is something I would like to get more involved in. As an actor I’m a contractor, and I’m constantly looking for work, I pitch my services and outbid other actors for contracts. There’s something to be said for producers who create work and job opportunities for hundreds of people at a time. I like to start things and see them to the end and producing will allow me to do that. Of course we know you best as Kevin Tran on “Supernatural.” How did you get the part and were you aware of the series before you auditioned for the role? Did you know from the beginning it was going to be a recurring character that would span the seasons? I was flying to LA from Beijing and I had a one week stop in Vancouver. I pushed my trip to LA 3 days to make the audition and it was the best investment I ever made. There’s a long story in there of what happened in LA after that but I’ll save that for another day. I was aware of the series since it was a Vancouver show but it was the first time I auditioned for it and I hadn’t gotten around to seeing an episode of it yet. All I knew was that it was a 3-episode guest star, and from what I heard about the show, I assumed I would be killed in the 3rd episode. The casting call requested an actor of Asian descent? Do you know why that culture is important to the character? This issue is a bit tricky. It has to do with stereotypes and how people identify with Asians and the good and bad connotations that go with it. The character was written to be book smart, all about getting into the best university, he’s good at cello and basically a neurotic genius in everything he touches. So naturally they thought Asian? I certainly did. Yes, this is an Asian stereotype. Stereotypes do come from truth and this isn’t a bad one, I’d say: overachieving. I would say that’s a positive actually, my parents would say so. Back to the point, and this is all speculation, but I think they made it a stereotypical character so that the audience can identify with Kevin right away. The importance of that, I feel is that in a way people are already familiar with him (in stereotypical ways, a “normal Asian kid”) and the audience can then understand better, the trauma that Kevin goes through since everything happens so quickly after a short introduction. Now if it were a one episode character, super Asian kid gets zapped and now he’s even smarter to the point his head explodes, then I may have issues with that character. But it’s much like everyone in this world. We all look a certain way and people have preconceived notions of what and who we are, but take some time and you’ll see that under the surface are depths that take a lifetime to even start to understand. With the show runners, execs and writers giving Kevin a 3-episode arc and now a recurring character in season 8, they give the audience a chance to really see the Kevin Tran character beyond what we already think we know and for that I’m very thankful. What was it like for you your first day filming “Reading is Fundamental”? So many guest stars have relayed wonderful stories of Jensen and Jared on set. Do you have any you can share with us? Day one was certainly a memorable one. We had a few stunts lined up for me, including Meg clotheslining me, which was a lot of fun. Jensen wasn’t on that day but I had my first scene with Jared, and he was on the verge of being a daddy. Our last scene that day we just finish shooting his side and he gets the call. Baby’s coming. He graciously apologizes for not being able to finish the scene with me and he runs off into the distance with everyone yelling congratulations to him. And that was the last I saw of a mature Jared. Super fun guy to be around and always a pleasure to work with but this guy doesn’t stop [joking]! I’m not sure if he can anymore and honestly some days I’m surprised we get anything done. I have to say, best moment in the episode for me was Jared chasing you around to get the tablet back. He has such long legs and yet he just didn’t seem to be able to catch you. It was so funny to look at. Was that the way it was planned? Was that as much fun to film as it was to watch? I loved this scene! My favorite for sure. This was my first impression on the cast and crew so I was so happy that it came off this way. So yes, everyone was saying Jared had long legs, yadda yadda yadda; he needs to start further back. My stunt double who was doing the rehearsal, oddly enough he was also named Kevin, wasn’t running all that fast (we’re wearing tight jeans and loafers), and so originally it was a straight line. Well, sprinting is one of my absolute favorite things to do, and I’ve developed some very strong legs from martial arts, so as soon as Ben called action, I was out of there. Exhilarating to the core, I love the way running at full speed feels but unfortunately the camera couldn’t catch it, and Jared was left gasping for air. Super strong dude, but he’s moving 60 lbs more than I am and my legs move pretty quickly. We then added some zigzagging to slow it down and that turned out to be pretty fun. You have been in three episodes so far. Do you have a favorite episode? Was one harder for you to film than the others? Did you get tired of being kidnapped by everyone? Yeah, no kidding. How many times have I been kidnapped now? Seems to happen every episode. The first one was my favorite to shoot. Possibly because it was the first, probably because that one had all the stunt rigs. From the lightning strike, the running, the falling, it was a fun episode for me. At lot of fans also want to know what happened to Kevin’s mom. Will we find out about her fate in season 8? What do you like best about Kevin and what do you feel, as an actor, you bring to the role? Can you identify with Kevin in some ways? I like how Kevin continues to adapt. He’s been in this world of school and books for the longest time, everything is set in stone on what he needs to do and where he needs to go and now that that’s all turned upside down he’s back to square one. But he’s good at learning and so he figures it out and adapts to what’s new but still so close to what his life used to be. Yeah, I can identify with Kevin in a lot of ways, I was always an overachiever and obsessive in the things I wanted to accomplish, and it is a big part of who I am. Maybe if Kevin gets to fight some baddies in season 8, they’ll be much more that I have in common with him! 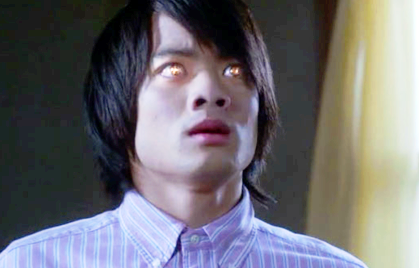 The season finale of SUPERNATURAL left a lot of questions, one of them being “What happened to Kevin Tran?” Executive Producer Robert Singer stated that this season “will strongly feature Kevin.” He continued, “It’s about Kevin and the tablets and the word of God.” What if anything can you tell the fans about Kevin in season eight? Can you maybe give us a little teaser or two? How I wish I could… and I would… but I should… not. Sorry! Kevin’s back and I really don’t know how much I can say so I’ll leave it there. I am smiling about it. I also believe you stated in a recent interview that you filmed a scene for the finale that didn’t make the episode. Can you tell us a little about it? Well that was a little [more] to do about season 8 than season 7. It was a “Kevin will be back and strongly featured in season 8” scene and so instead of airing it Robert said it. I’m sure you realize the fans love Kevin and would very much like to see you at a SUPERNATURAL convention. Do you have any plans to do any either this year or next? I am very humbled by the response from the fans, and I’m ever so thankful for their support. I was at the ComicCon panel this year and the fans that I have met already have all been really sweet and very cool and I’m very much looking into doing a few SUPERNATURAL conventions. This year my schedule is a bit busy and I think most of the conventions have their roster full already so I don’t know if that will happen so soon but I am in talks with a few for next year. Definitely something I look forward to, and it’ll be better when season 8 starts airing. Can’t say enough good things about the SUPERNATURAL fan base, you make this show what it is. Where would you like to see your career go in the future? Do you have specific goals you want to fulfill? Yes, I do. Being an Asian American/Canadian I want to further pave the way for future generations of actors so that we can be seen more and more in the mainstream. I want to start producing feature films with some close friends of mine that I’ve been working with for a few years, and in fifteen years time, direct one. But most of all, I want to save up enough to buy an orchard, so my mom can pick cherries and my dad can play chess while she does so, close enough so I would visit on the weekends. You currently have two films completed that will be released this October, a martial arts film, “Man with the Iron Fist,” and a comedy, “Fun Size.” Can you tell us a little about them? Besides SUPERNATURAL, do you have any other prospects lined up? “Man with the Iron Fists” was the last movie I did in China. It is an homage to the old school Kung Fu movies with some of the Kung Fu stars, revamped with amazing music, up-and-coming action stars and The RZA, who plays the blacksmith supplying everyone weapons in the middle of all the carnage going on in the village. I play the blacksmith’s assistant, and we build very, very, good weapons. My character takes The RZA through a spiritual path and he takes me with him on his journey when he starts a new life. “Fun Size” is a story about a girl named ‘Wren,’ played by Victoria Justice, who loses her brother on Halloween and has to find him before her mom finds out. With her best friend ‘April,’ played by Jane Levy, trying to drag her to the party of the century, they recruit ‘Roosevelt,’ played by Thomas Mann, and ‘Peng,’ played by myself, the class nerds and co-captains of the debate team, to drive them around and help them find Wren’s brother. One of my favorite film experiences as a whole, we did 3 months in Cleveland and I can’t wait to see this one. I was also a part of the HALO live action series “Forward unto Dawn.” It comes out around the same time as well, and it is a long cinematic introduction to the Halo 4 video game. It follows a group of cadets in training to be officers, your usual drama with characters, war and politics but everything taken into perspective once aliens start trying to kill everyone. This will be super cool. Apart from that, [I am] trying to work a few things out around my SUPERNATURAL schedule. If I have time to do some of my own projects in between I’ll certainly do that. Thanks again to Osric Chau for taking the time to doing the interview for us. I, for one, look forward to seeing more of Kevin Tran in season 8 and I wouldn’t mind if the producers let Osric throw in some of those amazing martial arts skills he possesses. That would be something to see! You can follow Osric on Twitter at @OsricChau and on Facebook at Osric Chau | Facebook. For more videos of Osric Chau’s martial arts abilities, check out his YouTube page. FANTASTIC!